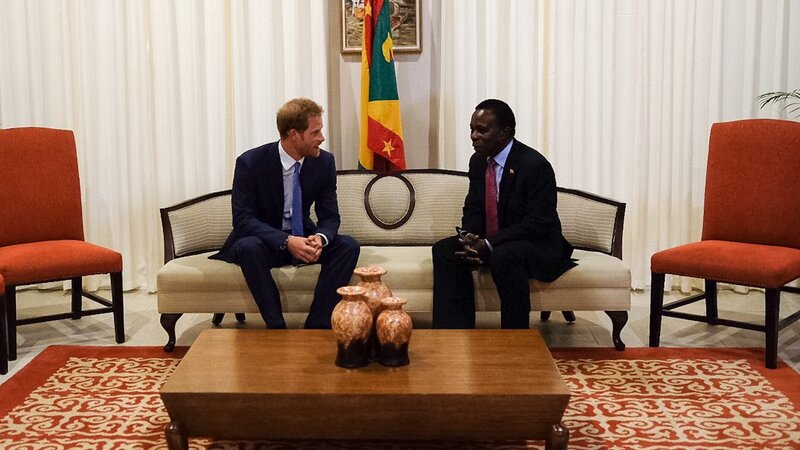 Prince Harry has announced nine new Royal Household Hospitality Scholarships, which will give professionals across the nine Caribbean Realms the opportunity to undergo training at Buckingham Palace and Windsor Castle for six weeks next year, culminating in Royal Ascot week in June 2017. His Royal Highness launched the project during his current tour of The Caribbean at a reception in Grenada with the Governor General Dame Cecile La Grenade and the Prime Minister Mr Keith Mitchell. Grenada, like most Caribbean countries, relies heavily on the hospitality and eco-tourism industry. Successful applicants for the scholarships will be attached to the Master of the Household's department in the planning and delivery of all entertaining hosted by The Queen and senior members of The Royal Family. This includes catering in the Royal Kitchen, housekeeping and caring for artwork and furnishings and front-of-house duties such as greeting guests and serving food and drinks. Each scholar will learn new techniques and will receive a certificate of completion from the Royal Household at the end of the six week placement. They will all undertake a six-week project to advance their skills in their chosen area of expertise. This could range from learning complex chocolate and sugar craft, performing duties for Her Majesty's guests at Windsor Castle during Royal Ascot week or shadowing the service team at official and private events during this busy period. Applications should be made to the Governor General's office in each Realm.